"I almost do everything starting from the draft of a composition over arrangement, recordings through MIDI and sound design to the final mixing and mastering process. I've trusted Samplitude as a my main tool for almost 18 years. Object oriented engine, great onboard plugins and meters, classic intuitive GUI design ready to be customized, mastering tools. All in one. I love this DAW." "In 2000 I changed my entire studio to a PC-based system with Nuendo 1. I was an endorser for them. After struggling for almost two years on that software and hating the sound, it was suggested to me to try Samplitude. I did and I was elated at the upgrade with its ease and workability of the layout. I’ve been with MAGIX ever since and although I’ve tried every app on Mac and PC, I feel nothing can replace what Samplitude and Sequoia do for me. They are all I use and all I need. I can't go back. Plain and simple." "I’ve been using Samplitude and Sequoia for almost 20 years now, and I can’t imagine working without them. They allow me to achieve flow more quickly than any other DAW. I really couldn’t function at this level without Comparisonics viewing, object based editing, and its in-line spectral editing and solid cross-fade workflow. It helps me bring my ideas to life." 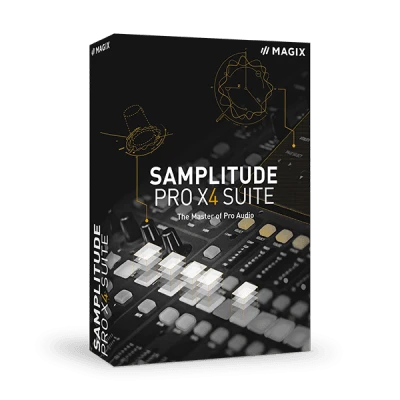 "I am proud to use the complete collection of software from MAGIX for my music and video productions including SOUND FORGE, VEGAS, and Samplitude. The quality of Samplitude is truly remarkable. It’s power and flexibility is without compare and most importantly—it sounds great! I also want to thank MAGIX for working to make their products accessible to blind music professionals." "I've chosen Samplitude because some of my friends were using it, even in the classical music domain, and were raving about its sound quality. Some others, in the more pop domain, were crazy about what Samplitude could do, particularly its concept of objects, which was a new and very interesting way of working with sound. So that made two reasons." "The difference between Samplitude and other DAWs is that you can work with waves better and more quickly. My workflow includes a lot of work with waves. Setting the drums, cutting samples into the project, setting pitches, time stretching, cross-fading, and integrating VSTs. 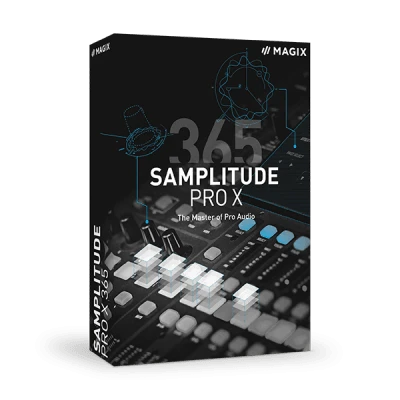 It’s all super quick and easy with Samplitude. The mixer in Samplitude is so awesome that you don’t even need an external mixer, especially with all the plug-ins that are available today." "I’ve really only touched the tip of the iceberg of what the program can do, but I just love everything about it. Samplitude is like a box of non-stop surprises. It’s so simple, yet it has everything you can dream of and looks great on screen. The restoration side of Samplitude is just crazy, so easy to clean up clicks and pops, hums and noise. Again, a very fast economic way for doing things." 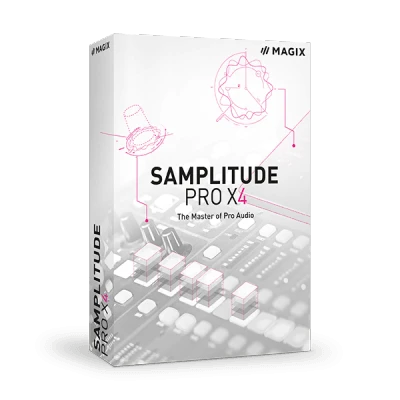 "I use Samplitude for all tracking and mixing, and most of the writing too! (...) I love Samplitude’s object-based processing, and the cut feature with automatic fades. I do so much cutting and slicing when I’m writing and recording. I can be really creative with cutting something up and editing each slice separately." "The object editor and the ability to burn directly from the application are huge for me. Also, the way it handles ISRC codes as well as other CD text are very important to my workflow. The overall vibe of editing is also fantastic, and the application has just always been super snappy and responsive."